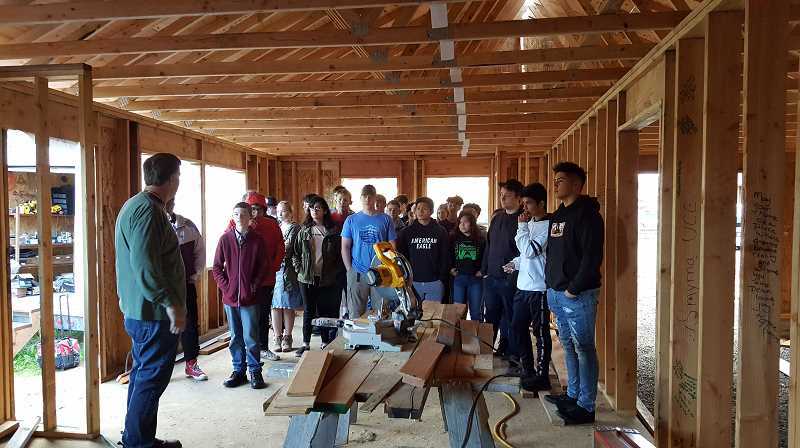 Two groups of students from North Marion High School's woodshop classes had the opportunity to tour the site where Habitat for Humanity is building a 4-bedroom home for a single mom and three elementary school-age children in Mt. Angel. "Some kids were super excited about the idea of getting to help with tools, and then the other student group was super excited about getting to help people," said North Marion's Career Technical Education teacher and adviser Sherie Moran. The tour came about because of a partnership that the school established with Habitat for Humanity. North Marion's woodshop received a CTE Revitalization grant that requires them to work with a community partner in the field to guide the department towards skills that kids should be learning. They selected Habitat for Humanity, and the organization agreed to partner with the school. One of North Marion's students, Noah Wierstra, was so impressed with what he saw, that he intends to continue working with Habitat for Humanity in the future. "[Wierstra] specifically said, 'I'm going to keep doing this. This is awesome what we can do for others,' " Moran said. "His family is a farming family in the community, and he plans to continue doing this after graduation." Some of North Marion's current and past advanced woodshop students will follow up the tour with the chance to get their hands dirty at Habitat's Mt. Angel jobsite on Nov. 10. "They're actually going to get to work on the job," Moran said. "It's not just going to be a tour, they're going to be doing something. The construction manager is going to have a task for us to do, and we will accomplish that task on Saturday morning." In addition to tours, through the partnership, Habitat also agreed to provide job shadowing, guest speakers and help with mock interviews in the Career Planning class. 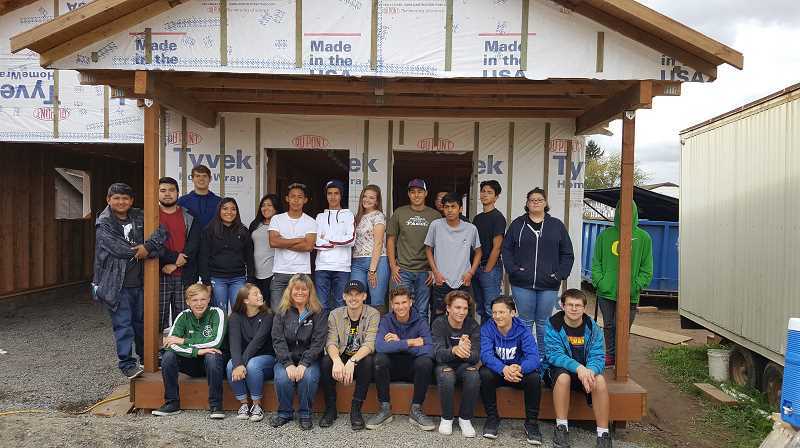 The school agreed to provide student labor and to use newly purchased equipment to build and install cabinetry in this current build and in future Habitat homes over the next several years. Moran, who is also the adviser for the Skills USA student organization, hopes next year to involve other student groups with Habitat for Humanity, such as FBLA and FFA. "It's all about doing good things for kids and in the future, good things for the industry," Moran said.